You can gather a lot of information about a potential manufacturing supplier partner just by going to their website these days. Pictures and videos that showcase their products and services may be worth the proverbial “thousand words,” but they’re not enough to accurately convey what it’s like to partner with that supplier. That’s something that can only be understood by touring their manufacturing facility and having face-to-face conversations. It’s difficult for companies to accurately portray the size of their facility and the breadth of their capabilities online. Even if they do a great job, the information is still open to individual interpretation. 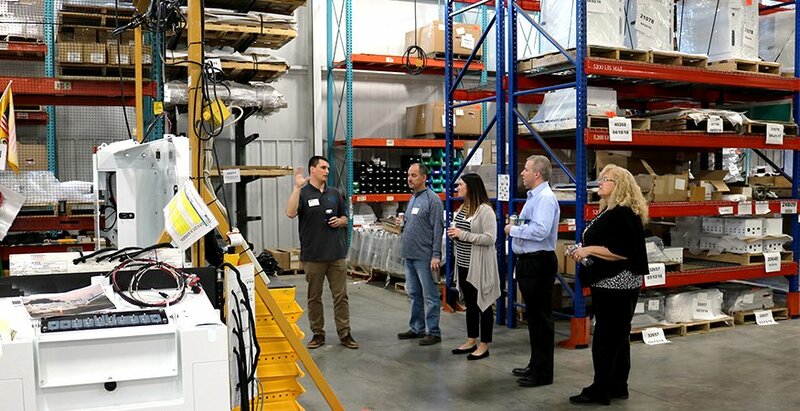 Visiting the manufacturing facility is a foolproof way to see the supplier’s space, how they utilize it, and how their capabilities align with your organization’s needs. A manufacturer with a well-documented, detailed process is in a position to consistently control product quality. (Bonus points if the process is ISO 9001-Certified!) Prioritizing quality over quantity is a sign that the manufacturer has the potential to make an excellent partner. Further, seeing their process (or processes) in action will help you decide whether or not it’s a good fit. It’s easy for a supplier to tidy up the building when a photographer comes in to take photos for the website. What’s not so easy is keeping work areas organized all day, every day to ensure a high level of efficiency. Manufacturers that implement Lean manufacturing generally make better supplier partners because the Lean principles aim to add value by eliminating waste. For example, implementing 5S (sort, set in order, shine, standardize, sustain) means every tool has a place and, unless it’s in use, it’s kept in that place in order to reduce time lost to looking for tools and trying to keep workstations organized. This level of organization benefits the supplier overall, but it’s a true value-add for their partners because products are built as efficiently as possible. You’ll only fully comprehend how organized the potential supplier is during a facility visit – it’s not something you’ll likely talk about over the phone or via email. As you tour the manufacturing facility, you’ll have the opportunity to ask questions as you see things that pique your interest. You might wonder how the supplier tracks efficiency metrics or which process works best for certain products. Maybe you want to better understand the production process as it happens in real time or ask a production technician about a specific job they’re working on. Those moments are priceless when it comes to connecting with the potential supplier and getting to know them on a deeper level. Interacting with employees during a facility visit is the best way to judge the company’s culture. You can be fairly confident that if a manufacturing supplier is good at keeping their employees happy, they’re also good at keeping customers happy. Look for these indicators of a positive company culture: employees who acknowledge visitors with a smile and are willing to answer your questions or show you what they’re working on; motivational or funny quotes posted in workspaces; and, clean work areas. These are all signs that the people who work there like their jobs and take pride in what they’re doing – and that they’ll do great work for you and with you. On the other hand, if you visit a potential manufacturing supplier and there are no processes, it’s messy and chaotic, or the employees don’t seem to enjoy their jobs, heed the red flags and move on. The success of any product developer or OEM is largely dependent on their suppliers so invest some time in learning about prospective partners before and during a facility visit. Do so effectively by using our handy Prospective Supplier Evaluation Checklist to set parameters and score potential suppliers in four key categories. Click the button below to access your copy.